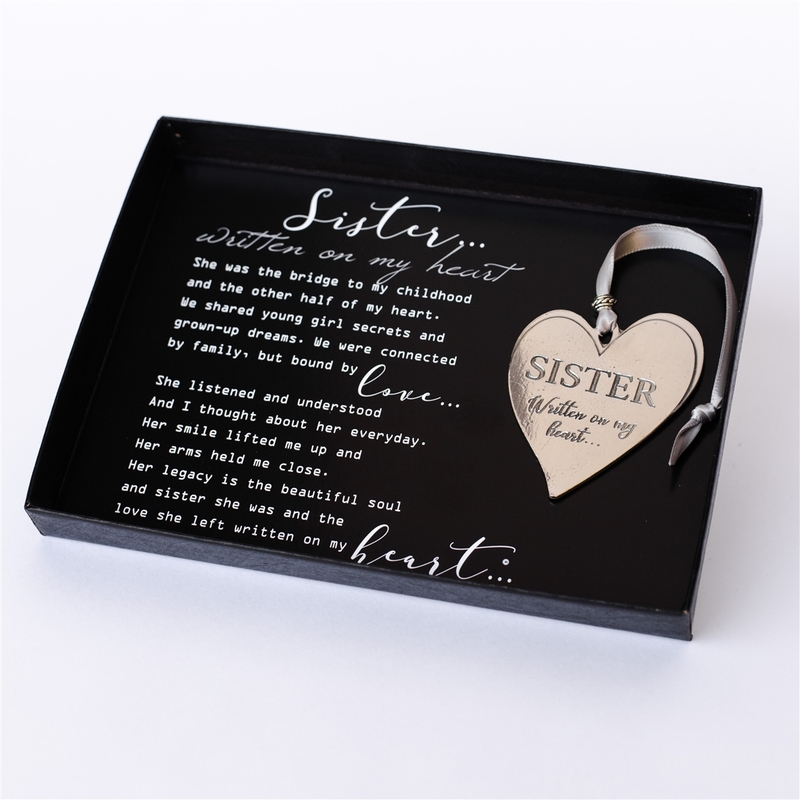 A beautiful gift for someone who has lost a sister. The 100% lead-free pewter heart ornament is handmade in the USA. The 3" ornament is finished with a silver accent bead and white satin ribbon for hanging. 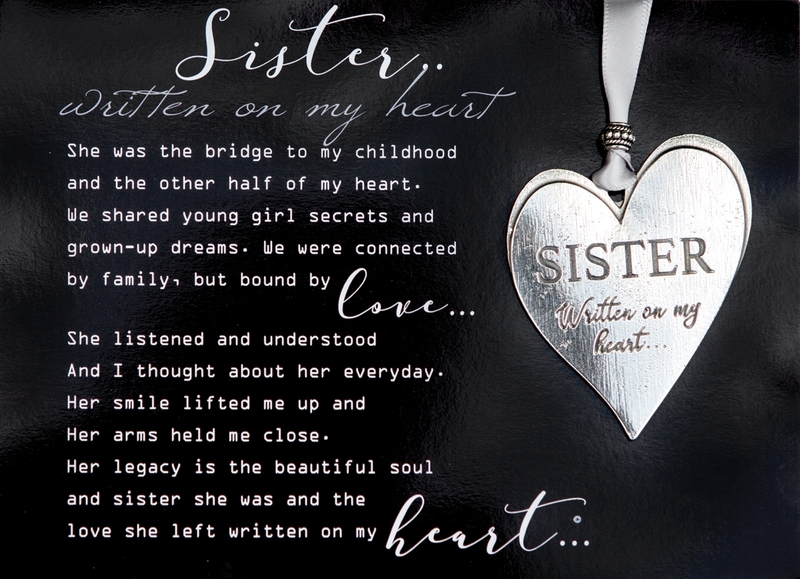 The words, "Sister...written on my heart" are engraved on the front of the heart. There is plenty of room on back or front for optional additional engraving. The pewter heart is packaged with a comforting sentiment about the loss of a sister, beautifully written by company owner, Teri Harrison. The sentiment is printed on quality paper and is gift boxed with the heart. The sister ornament is a heirloom quality pewter keepsake that will be loved and appreciated by the recipient. The heart can hang on a Christmas tree, rearview mirror, stand, knob or wherever it will be a reminder of the lost loved one.